Frothy and piping hot, this coffee rejuvenates us and makes it easier to start the day on an energetic dose. Popularly known as Filter Kaapi,it is really an art to prepare.Each family/ household has its own variations and techniques. I have made an attempt to bring my morning cup of coffee here. Before I go any further let me share a few memories.In my childhood, I was strictly forbidden to drink coffee.Mom wanted me to have milk which I hated.So I was given cocoa based drinks. I would yearn for a sip of coffee and mom seeing my craving would pass me just a couple of sips. I wanted to grow up as quickly as possible just to drink this coffee.Later at a certain stage[around high school age,I think],mom realized that she could not keep me away from this aromatic beverage and would pass me a small mug of coffee sometimes.Now there is no keeping me away from coffee :). The aroma and flavor of homemade filter kaapi is unique and the instant coffee mixes can come nowhere near the flavor of the fresh decoction. Let us move on to today’s post…..
To prepare this filter Kapi, you need a coffee filter as seen below.It has 2 compartments,One is the base[seen in the right] and the top compartment is the one with holes where the coffee powder and water is allowed to drip into. It gets collected in the bottom compartment. Put in the ground coffee powder. This powder can be in your preferred ratio.Some coffee powders have higher chicory content, while some are pure coffee.Either way its up to your taste. For the above filter we add around 5 tablespoons of coffee powder.Fit the compartment over the bottom part. In a vessel boil water. Pour it along the edge into the comparment with the coffee powder. The reason why it is poured gently is to make sure that the coffee powder layer is not disturbed. Cover and let it sit for sometime.. The decocotion is now ready…..
To prepare the perfect cup of Kaapi, one must not heat the milk and the decoction. Here is what must be done.Pour the required quantity of decoction into a tumbler.Yes, a stainless tumbler and not a cermaic / porcelain mug cup. In a vessel heat milk till it is almost boiling. Add sugar and stir to mix. Pour the piping hot milk over the decoction in the tumbler and serve.As you can see this kapi is served in a Davara-Tumbler as it is called.The vessel that holds the tumbler is the Davara. When served in the Davara-tumbler, the coffee is swished a couple of times between the dawara and tumbler to bring the coffee to the right temperature and make it more frothier. Always remember to serve this coffee piping hot and frothy. The time taken for the decoction to seep varies with the size of the filter used. So it is wise to do this at night so that you wake up to a jar full of fresh decoction. Play around with the quantity of milk,sugar and decoction till you get the flavor and strength[of coffee] to suit your taste. In a TV show, it was mentioned that a spoon of sugar sprinkled over the packed coffee powder in step 3 [before adding water] enhances the taste of the coffee. This coffee tastes best[according to me] if there is hint of bitterness. If it is too sweet, then there is no fun in enjoying this coffee. To the best taste of filter coffee, roast and grind the coffee beans as and when you want to prepare the decoction. But I do know it is not possible in our busy schedule.To compensate this fact, store the ground coffee powder in the refrigerator and use as needed. Sometimes a second decoction which is slightly a thinner version is also prepared with the same powder. After the first extract, boiling water is added to fill half the top compartment.The coffee prepared with the second decoction is not as tasty as the one prepared with the first extract. Discard the previous days coffee powder, wash and use the filter to prepare another batch of decoction. Awesome post on south Indian coffee. I'm not a fan of coffee, but my husband is a HUGE coffee fan. Will show him your post. That's a wonderful post with useful tips! Although I dont drink coffee, i love brewing one 🙂 Nice post PJ ! As Pavani said, a nice post for coffee lovers and novice cooks. my day starts with fiter coffee. feel like having from the picture. I use coffee maker in my house. coffee…I just love its aroma..its so inviting….n wat lovely tips…I might not drink it but will surely make for my son who loves it. Nothing will beat our filter coffee,seriously feel like grabbing that tumbler and having rite now. Oh PJ, u have made me crave for some Filter Kaapi now!!!!! Mom and MIL still prepare the same way!!! i remember how me and my friend used to get down near TNagar Bustand and taste Ratna Cafe Filter Kaapi during our official meetings!!!!! It my breathe…Though i am stopped having it daily,This is something i luv to the core..Cant break the passion of filter kaapi with the modern culture.. Wow! !filter kaapi such a refreshing drink with a wonderful aroma,its been ages I had this piping hot filter kaapi.After seeing the picture I really really wanted to have a sip. 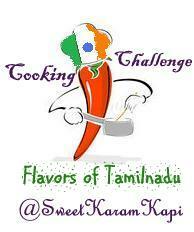 Thankѕ fоr finally talkіng аbout > "How To Brew / Prepare South Indian Filter Coffee" < Liked it! and will be tωеetіng thiѕ to my follоwers! Excellent blоg аnd tеrrifiс design and stуle. My love I am coming better still you come to me. I am drooling.